Nokia earlier had the C6 model in the market, which featured the QWERTY keypad in the slider keyboard, now has brought in, the newer version of the C6, named the Nokia C6-01 mobile phone which lacks the keyboard, but flaunts the touchscreen, apart from the extra features that are added in, to take the C-series phones to the next level. The C6-01 has brought in the touchscreen display with the AMOLED screen with capacitive feature, and although the external keyboard is removed off, the phone looks a lot better and more geeky than the C6 model. 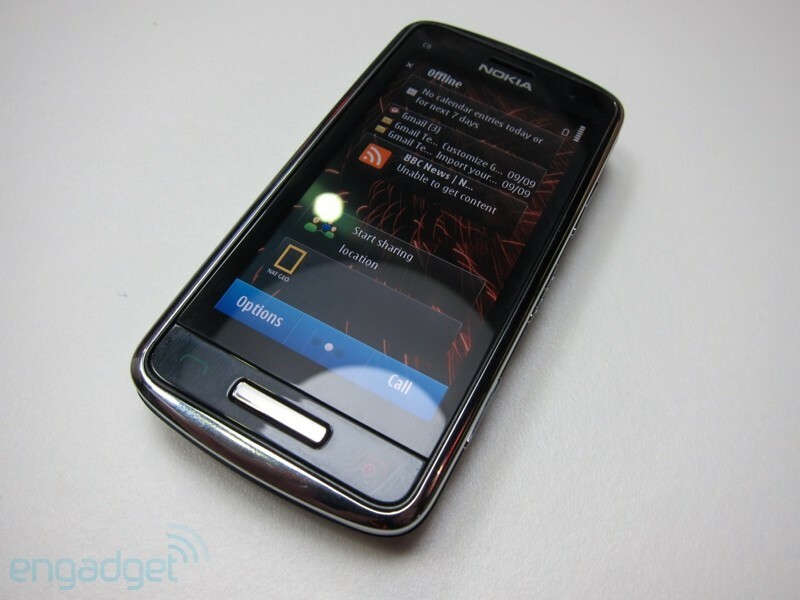 The phone comes with the Symbian^3 operating system, replacing the Symbian S60 v5 that was seen in the original C6 phone. Nokia has also brought in the ClearBlack display which is the best for enhancing the view and visibility when used outdoors. The design of the Nokia C6-01 looks just like the other Nokia N-series high-end phones, with the physical size of the screen diagonally being 3.2 inches, and the phone weighs 131 gm. The resolution provided by the screen is 360 x 640 pixels, and the capacitive touchscreen is one of those that might compete with the android phones launched by Samsung (especially the Samsung Galaxy S) and the iPhone. The internet connectivity is through the EDGE, HSDPA, GSM Quad-band, and Bluetooth uses the 3.0 technology, and Wi-Fi being the 802.11b, 802.11g and 802.11n. It has the 3G connectivity options, apart from the GPS navigation system. The video playing capacity includes MPEG4, H.263, H.264, RealVideo 10, Flash Video and the phone comes with the internal memory of 340 MB, and the phone can support external memory through the microSD card upto 16 GB. 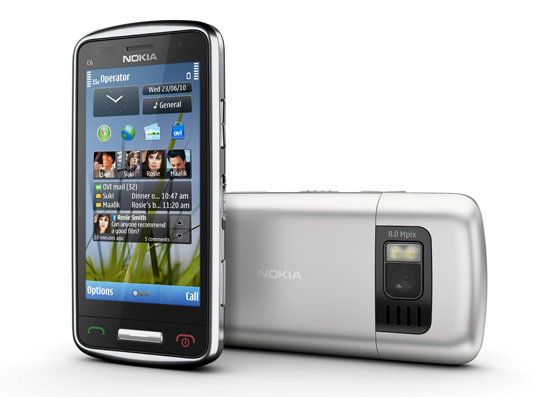 The Symbian^3 operating system has got the performance better than the previous Symbian version like the Symbian S60 v3 and v5. The camera got better from the previous version, i.e. the C6 where the 5-megapixel camera is replaced by the 8-megapixel camera, which can record the videos in HD quality i.e. the 1280 x 720 pixels or 720p quality. The flash being dual-LED can produce good quality images even in dark surroundings, and it also has the face detection and geo tagging. The battery is said to have a good life for talktime, which is around 12 hours, and the standby time is 420 hours. There is a 3.5mm headphone connector for the media playing through the headphones, and the phone has all the other basic features that are present in any other smartphone. The phone is set to launch in the 4th quarter of the year. 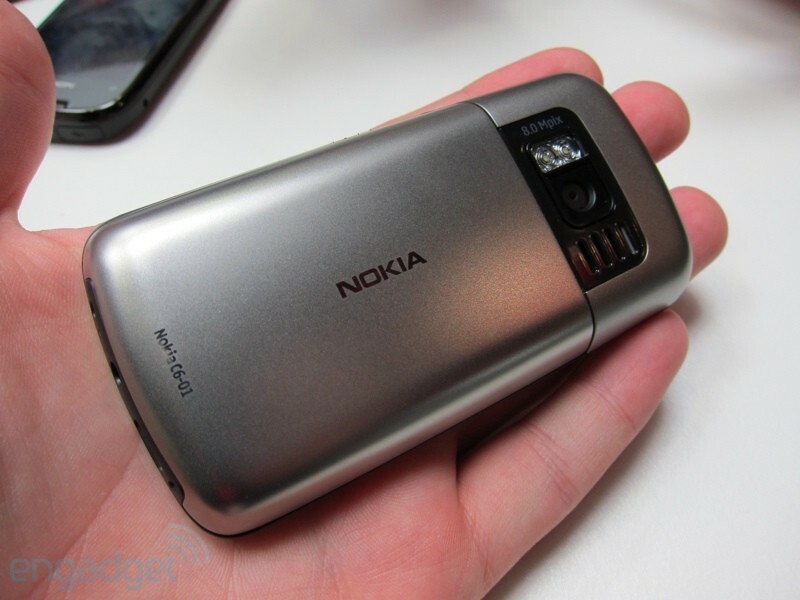 I thought it was only the N8 in which Nokia had the 8-megapixel camera integrated. With such specifications, one can say that the the C series is the best successor to the N-series of Nokia.